As a brand targeting the youth market, Etude House formerly featured young stars like Jang Geun-seok (Beethoven Virus) and Go Ara (Who Are You); here in these newly shot ads, Lee Min-ho promotes the line alongside 20-year-old actress Park Shin-hye (Radish Kimchee, Goong S) — who, by the way, was a strong contender for the role of Jan-di before it went to eventual pick Gu Hye-sun. When I first glanced at the first pic, I was like "Wait, Kim Bum?" but then it turned out to be Lee Min Ho :P lol. That's what Kim Bum would wear in BBF so yeah. Hmm.. Park Shin-hye looks different.. just like the last time you posted something about her. & is it me or the girl is getting skinnier by days! She doesn't have the cute bubblely face of hers any more.. now it's.. kinda bonier? She's still pretty so no one's complaining yet. & lucky her, got to be with LMH. It kind of looks like he's about to fall over on top of her...the way he's standing/leaning in the second picture haha. The outfits were hideous, but somehow LMH was able to pull it of! wow is that Park Shin-hye she looks different ???????????? haha he does look good in everything! I am not sure I like this type of stuff on LMH. He is handsome, not cute like JGS. But heck, what the hell do I know? Hehehehe...Whatever rocks their boats, I suppose. Park Shin Hye looking better with Lee Min Ho is a matter of personal opinion, but bashing on Goo Hye Sun is just pathetic. But then again, antis are pretty sad ppl to begin with. @Rin: I do miss Park Shin Hye's former look. I loved her bubbly and vivacious, baby-face (her chipmunk cheeks were so cute!) in Goong S and Tree of Heaven. But like you said, she's still gorgeous, so whatever, lol. i know i'm sounding like a party pooper-but i'm starting to feel overexposed to Lee MinHo. He's like hawking EVERYTHING these days. Everywhere you turn, there's another Lee Min Ho CF. I think he has so many endorsements, he can't even keep track. Gah! Jang Geun Suk and Lee Min Ho are those self-indulgent type of product pushers. In other words, the most annoying kind of CF stars. I am really happy that he's getting all these deals... it is wise to try and get in while you can. However, that is a whole lotta pink satin up in my face. On the chick? Sure. But come on guys... Put Lee Min-ho in something more Brad Pitt/George Clooney, not Tom Jones/Wayne Newton. Pleasemmkaythankyou. oh no. lee min ho looks a little slimyyy in the second picture. just a little sketchy; just a little...but i still think he's good looking. lolz. such ugly clothes for a man. LMH looks ridiculous. I would have preferred that Shin-hye got the role of Jan-di, I'm sure I'd enjoy the drama more. I don't understand why the producers decided not to cast her simply because she looks sophisticated and rich. She does but given the right clothes and props, she can look average I think. Besides, it's kinda stupid to insist that the Jan-di role is a poor girl and then make her wear Colonize hoodies and Marc Jacobs clothes and accessories. Stupid stupid stupid people. man, lee min ho is everywhere. i mean, i like him in BOF and it's great that he's finally getting the recognition he deserves, but i think i've finally reached my min ho saturation point. i'm kind of getting tired of seeing him everywhere...*ducks* from hordes of screaming LMH fans, lol. i think Lee's good looking, but oh man isnt he smiling too much? and the posture in the second photo looks unnatural. i def see more kim bum than lee min ho. im just glad she didnt casted as jandi though i like her. weird.. maybe because i think BBF will never be the BBF i like right now if she is jandi. uhm. is it just me or they lack chemistry? y is it there a BOF spoiler everywhere else??? I used to like spoilers but not this! "y is it there a BOF spoiler everywhere else??? I used to like spoilers but not this!" I know >.< Doesn't it take away the anticipation for each episode and excitement? 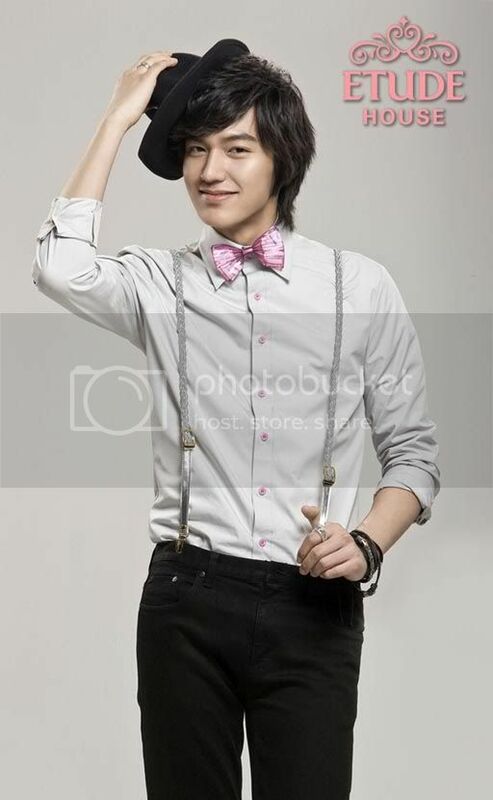 I am a big LMH fan but these pics are the most unnatural-looking I've seen him in. That's some seriously pink threads. Like a bad groomsman outfit. I have reached my Lee Minho and BOF limits period. I think this will be the last thing that I'll read about him or any BOF casts for a very LOOONG time. I remember years ago, I was getting annoyed by the frequent Goong posts and endorsements during the Goong mania as well, but when you compare the exposure that the Goong casts were getting, compared to the BOF casts, espescially Lee Minho, theirs was mild compared to the latter. BOF and it's casts are getting so overrated it's getting absolutely ridiculous. Too much publicity is not a good thing. I am getting sick and tired of them. I like Lee MinHo and all that...but he is getting way too overexposed. It worries me that due to this overexposure, his fame will also fade just as quickly. Anywhere you click, his face is there, it is getting excessive and I agree with what some posters have said above. it makes me like him less. Another day...another day for Lee MinHo and his mug getting another endorsement. Yawn! So what else is new about him? Haven't the media run out of reports about him yet? I think LMH is just tired...as in exhausted and overworked. how come park shin hye always gets to work with the hot guys? i am so jealous. Agreed #25 - I loved her in STH and Tree of Heaven BUT Shin-Hye as Jandi? She's not cute like Makino. She would be too pretty for the role. I don't think PSH is appropriate for Etude House. "She’s too much like an ajumma. Are they targeting older women? LOL"
Park Shin Hye is 18 years old . . . I totally agree with too much spoilers, highly commercialized BBF & overly exposed casts really turn me off. I used to follow this drama religiously but it's cooling off for me, which was a surprise! In fairness if I were the production company or the artists, I would take full advantage of the opportunity. Milk the cash cow as much as they can while it's still hot. I was curious with the comments here and took another peek. 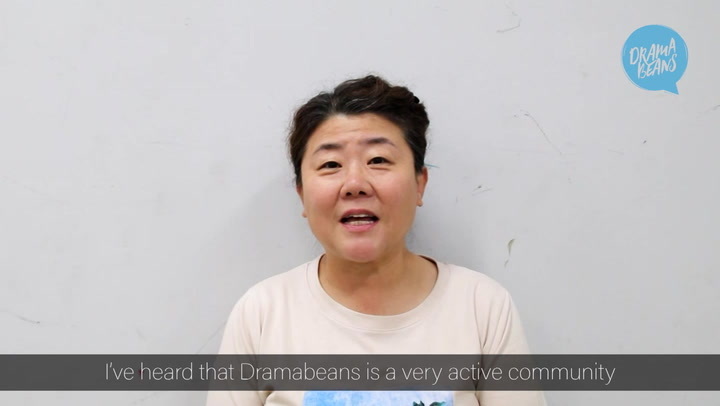 Dramabean is BBF galore! "I was curious with the comments here and took another peek. Dramabean is BBF galore!" And in about 2 weeks, KBS will be handed back to the adults with early Drama of the Year candidate, Son Ji Na's "Story of a Man"
"Just from the comments above, is it safe to say the Lee Min Ho backlash has begun? I read a lot of “saturation” and “over-exposed” in the comments…." I don't think tht, park shin hye would've made a better jan di. i think hye sun is perfect for the role. Ohh, and the clothes are U-G-L-Y!! But he still looks HOT!! And he looks tired ohh..
Wow, he looks as uncomfortable and embarrassed as me in that goofy outfit. Don't these guys understand that pink bowtie and sparkly pseudo-suspenders are NOT him? "Wow, he looks as uncomfortable and embarrassed as me in that goofy outfit"
At this point, he's probably too exhausted from the show and commercials to care. Lee Min Ho: "Clothes? Chocolates? Feminine hygiene products? Adopt a baby? Let's get this done already so I can get some sleep!" Park Shin Hye: "Min Ho, let me just say I absolutely love you in BBF." Lee Min Ho: "Stop shouting!! Why Shin Hye, I didn't know there were five of you!!!" Park Shin Hye: "Uhhh . . . ."
Lee Min Ho: "I haven't slept in 4 days!! I am the walrus!! Matsumoto Jun, I challenge you to a duel!! Gee! Gee! Gee!! " Park Shin Hye: "OMG he's worse than when Se7en tried to act!!" Lee Min Ho: "Alas poor Yorick!! Sorry sorry sorry . . . "
Would Park Shin Hye been a better Geum Jan Di?